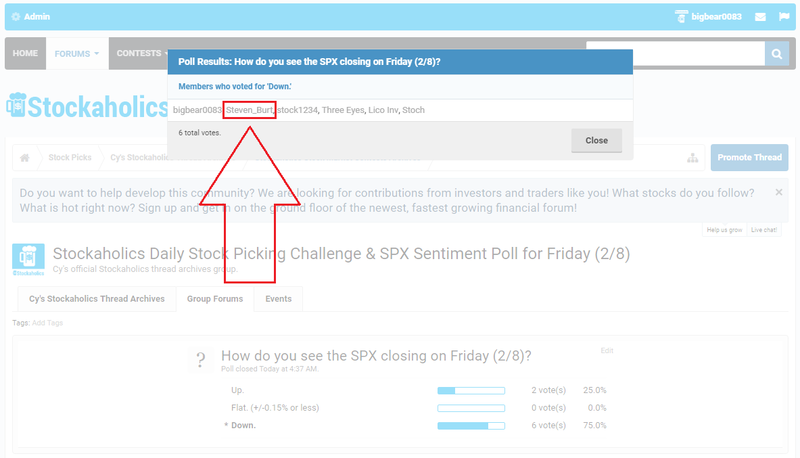 How do you see the SPX closing on Friday (2/8)? Congrats to @rStock the Stockaholics Daily Stock Pick Winner for (2/7)! On to the next! 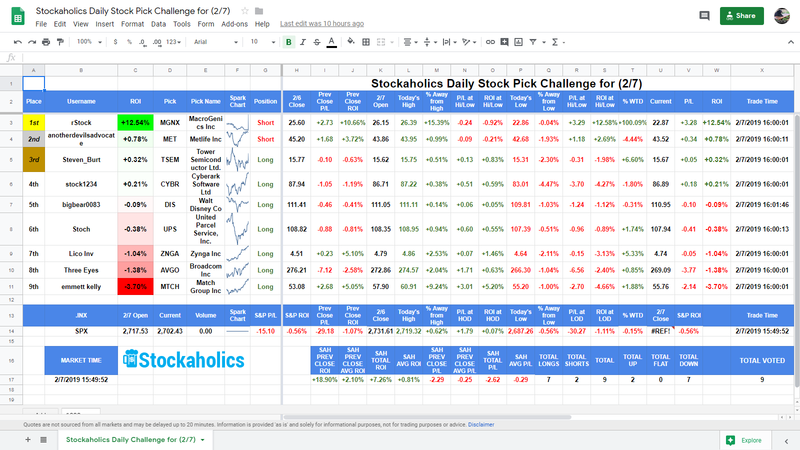 The Stockaholics Daily Stock Picking Challenge for (2/8) starts at the opening bell on Friday, February 8th, 2019. Remember...the challenge starts at the opening bell on Friday, February 8th! How does Stockaholics think the S&P500 will close 2/8? Stockaholics wins the daily poll tally on Thursday! Credit goes to the DOWN votes! Congratulations to today's daily stock pick winner and 11th time winner of the daily stock pick challenge in 2019 (4th time winner in February!) -- @rStock! Some worthy mentions also go out to our 2nd place winner -- @anotherdevilsadvocate and 3rd place winner -- @Steven_Burt! Longest active daily stock picking challenge winning streak belongs to @rStock with 1 straight 1st place finishes. 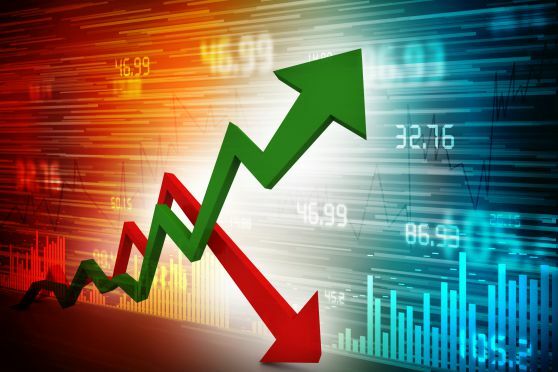 Best overall daily stock picking challenge winning percentage leader this year belongs to @rStock at 50.00% in 2019. Best overall daily stock picking challenge winning percentage leader this month belongs to @rStock at 80.00% this month. Most 1st place finishes in 2019 belongs to @rStock with 11 first place finishes in 2019 thus far. Most 1st place finishes this month belongs to @rStock with 4 first places finishes this month thus far. Longest daily stock picking challenge winning streak in 2019 belongs to @rStock with 3 straight 1st place finishes this year (twice). Congratulations to the following members who voted DOWN in the poll! Longest active daily poll winning streak belongs to @bigbear0083, @anotherdevilsadvocate, @Steven_Burt and @rStock with 2 straight correct daily market calls. Best overall daily poll percentage leader in 2019 belongs to @stock1234 at 76.92% daily poll voting accuracy this year. Best overall daily poll percentage leader this month belongs to @stock1234 at 80.00% daily poll voting accuracy this month. 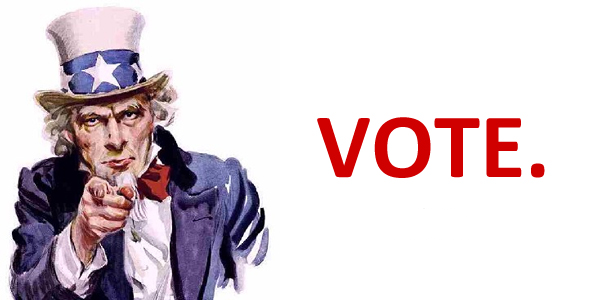 Please post your Vote on this thread and make sure to also click in your Vote on the poll at the top as well by 4AM eastern time on Friday! bigbear0083 and Three Eyes like this. Just posting this here so I don't forget to add this vote to my members voting record spreadsheet since I see some folks are still forgetting to "post" votes to the thread.